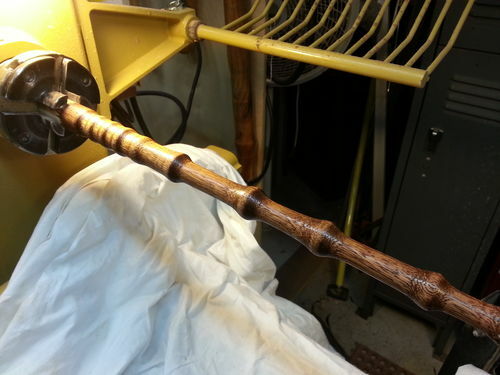 Since Bryan didn’t want a crooked elder wand I went back to the drawing board for a straight one. 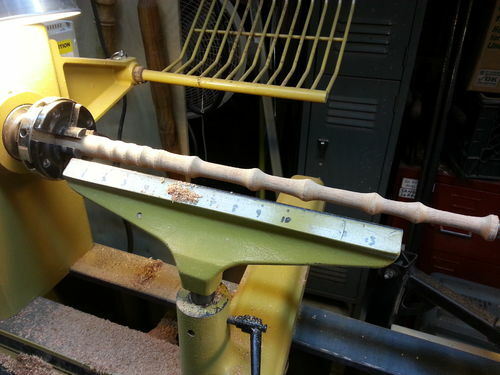 I went to the dowel bucked and found a piece of old draw-blind dowel. 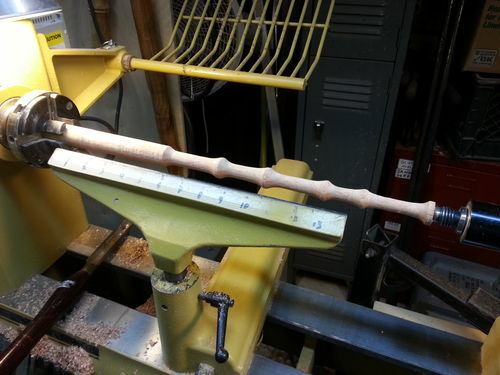 I chucked that in the lathe to make the straight wand. 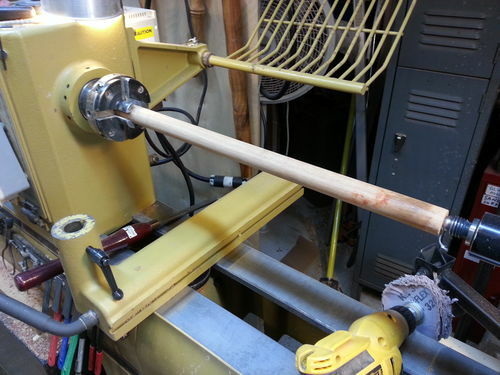 Since it was a straight turning project I use a spindle roughing gouge, spindle gouge, and skew to do the rough forming. Then I sanded to 320 grit, and applied a colonial stain. I decided to do the dremel dimpling after the first stain because I wanted to do a darker stain in the dimpled area. So I cut the dimples, sanded to 320 again and applied a dark walnut stain. 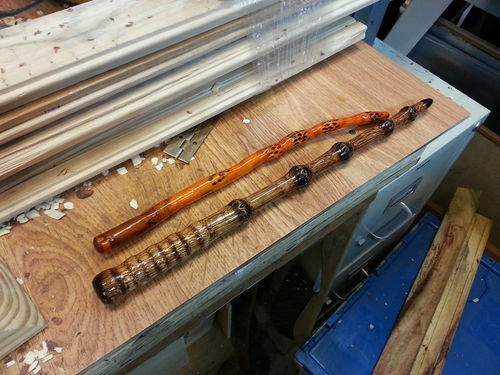 I turned the tip and handle end down, dismounted the wand, cut the ends off, sanded the tip and handle end, then burned those ends. Then I applied a coat of teak oil. 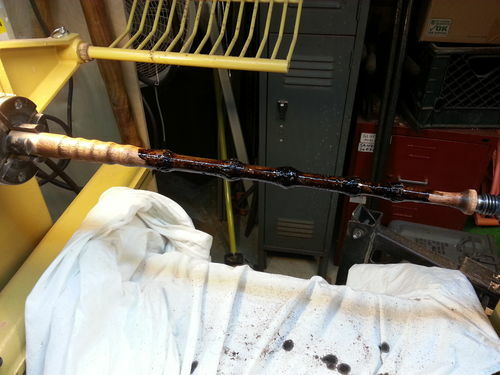 After 5 minutes, I wiped off the teak oil and took the wand in the house to sit on the mantle and dry. After It dried I took it back to the shop and polished it on the Beall buff system. I tried to buy a Beall buffing bag but from the USA, they wanted $60 for freight/postage…. woah!! Still cannot find any in AUS, maybe you could use the wand and get some dropped off next storm!! I would really appreciate it !! Looks great Pete. I hope your customer is satisfied with that one. OH man Pete! I’ll take the crooked one. I never walk straight anyway… hahaha. The straight one is very cool also.